Nope, we’ve not discovered a time machine (Sadly. Can you imagine meeting 20 year old Kate Moss?!) but incase you haven’t yet received the memo; the revival of the 90’s in fashion is well and truly in. 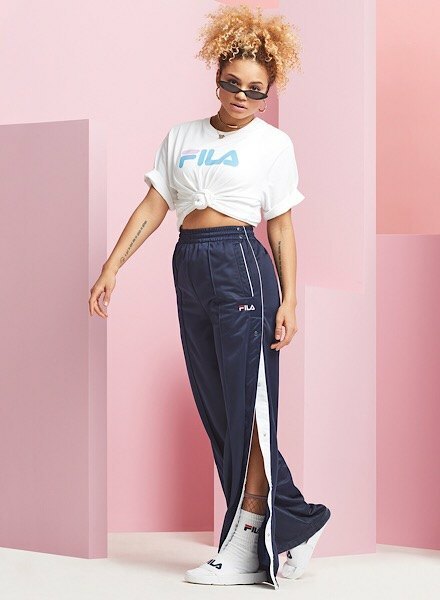 So it’s time to dip it low *queue Chrisina Millian* in popper pants and step it up in the chunkiest of sneaks with our ultimate style guide to all things nineties. So whilst the fashion industry is having a serious flashback, the sportswear market is going crazy with Fila, Ellesse and Champion taking full advantage at the height of this retro revival. Reign Champion of the trend in oversized e’rything. Boyfriend hoodies, boxy fitted tees and fleece pants in an array of bold primary colours nail the retro look without compromising on the comfort. Because yanno, comfort is key. Joggers not ya thing? 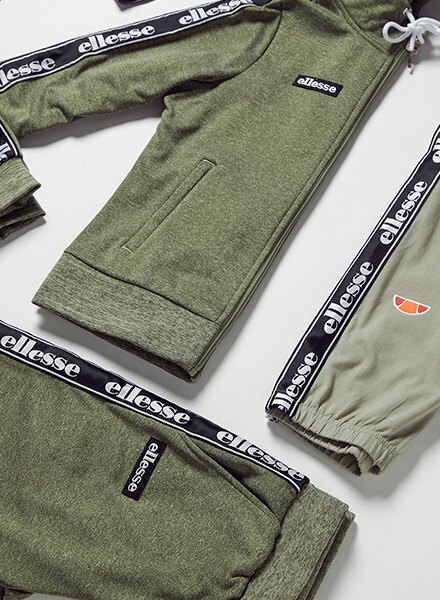 Popper pants are a key staple right now with offerings from Nike, adidas Originals, Supply & Demand, Fila and Ellesse to name but a few; pair with your favourite slogan tee to make a serious statement. Still not convinced about venturing back in time? Before we wrap things up, why not tape off your look with yep, ya guessed it ‘tape’ (and not the sticky kind). Keep it casual and co-ordinated with a range of matching hoodies and leggings or opt for a more premium take on the trend with a fitted polo from the queens & (kings) of luxe sports fashion; Ellesse & Fred Perry. And now, the finishing touches. For the grand finale, your sneaks are about to get BIG. The chunkier, the better. 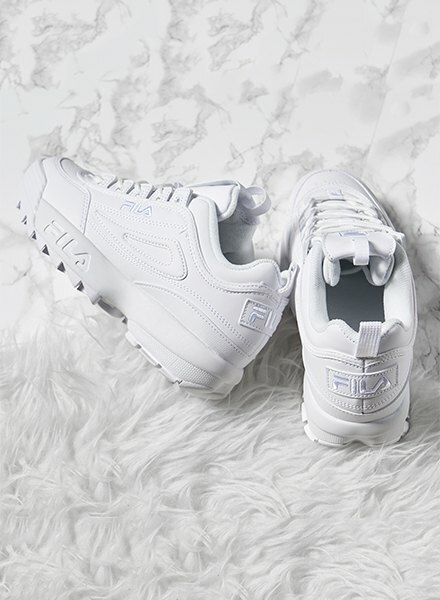 We’re steppin’ it up with the ‘Fila Disruptor’ worn by blogger babes Lissy Roddy and Chloe Plumstead *ahem, featuring four colourways exclusively available at JD*; they’re sure to turn some heads. Not feelin’ the Fila? 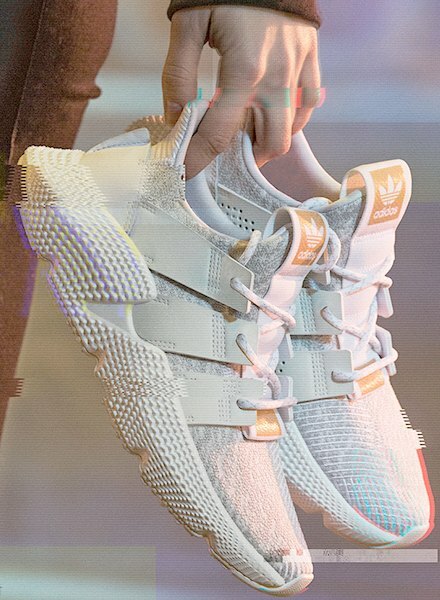 How about the adidas Originals ‘Prophere’, this badass sneak takes inspiration from the archives; turning them on its head; it’s totes a must cop. Wanna be the star of @JDWomen? Tag us in your looks with #MeInJD for a chance to be featured, we can’t wait to see ya reppin’ all things retro.